Images from the medal ceremony following the USA 3x3 U18 World Cup Team's gold medal victory. With a pair of wins over Switzerland (2-2) 19-11 and Australia (2-2) 20-11 on July 1, the USA Women’s 3x3 U18 World Cup Team advanced to the quarterfinal knockout round of the 2017 FIBA 3x3 U18 World Cup in Chengdu, China. 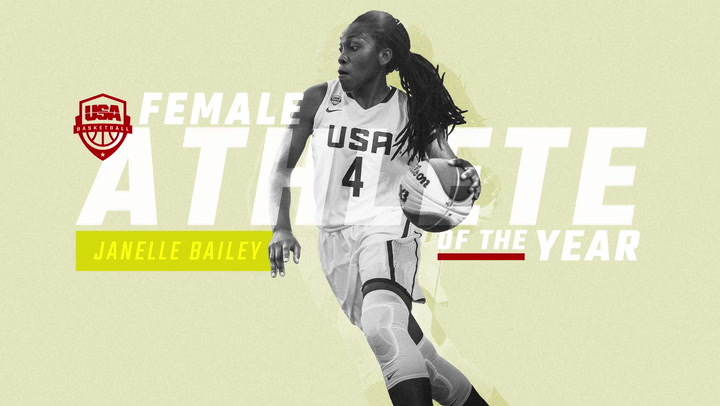 Take a glance at all of the USA Basketball medalists from this past year. It’s not uncommon for USA Basketball rosters to feature multiple players boasting of lengthy USA Basketball playing resumes, but playing on multiple USA teams in the same summer is something special. The 2016 USA Basketball 3x3 U18 World Championship Team got in another day of practice on May 22. The team is preparing to take on the world's best 3x3 U18 teams at the FIBA 3x3 U18 World Championship, which will be held June 2-5 in Astana, Kazakhstan. And don't forget, all the games will be streamed live online at FIBA.com! 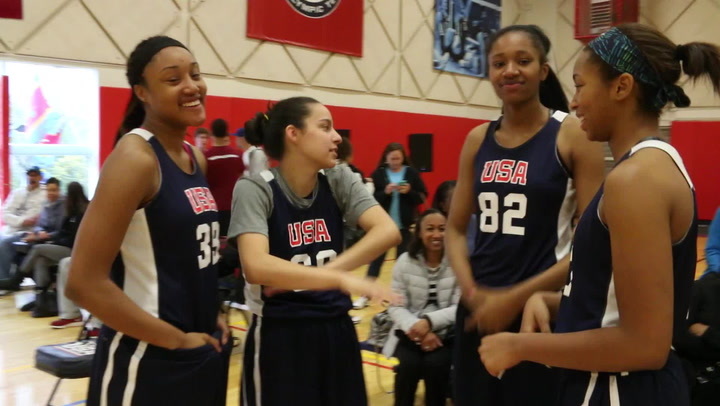 The 2016 USA Basketball Women’s 3x3 U18 World Championship Team has only a few days remaining until embarking on a journey to Astana, Kazakhstan, in search of a gold medal. Exactly what is the FIBA 3x3 U18 World Championship? How have past USA 3x3 U18 teams fared? Who are some of the stars who have played in past 3x3 U18s? Find out here. After being edged out by France 20-19 in a hard-fought gold medal game, the USA Women’s 3x3 U18 World Championship Team earned a silver medal at the FIBA 3x3 U18 World Championship on June 7 in Debrecen, Hungary. And while the USA Men fell to France 20-18 in the quarterfinals to end its run at the event, USA guard Jalek Felton won a silver medal in the Dunk contest.